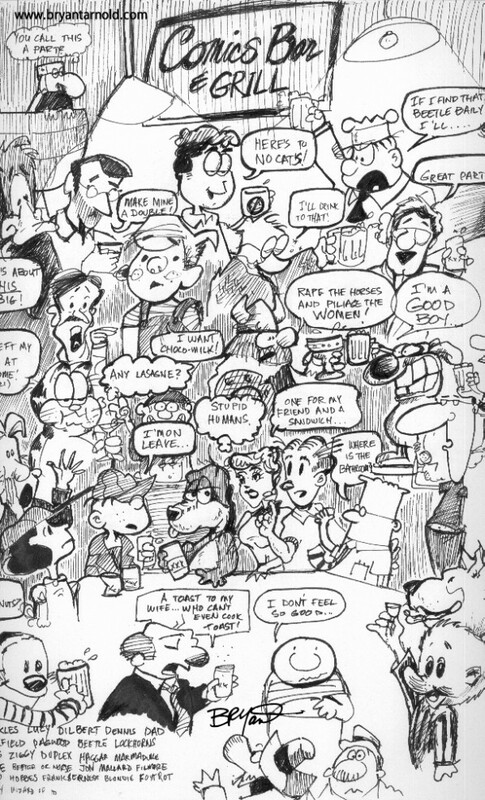 Everyone in the current newspaper cartoon, scanned from the sketchbook. Sat down one Sunday at a coffee shop and sketched with whatever pen I had in my pocket. See if you can name them all.